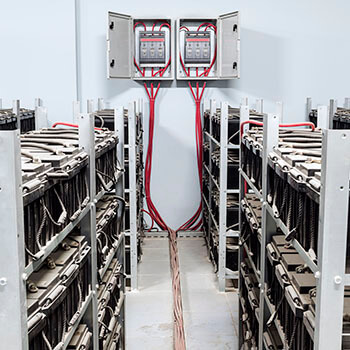 Stat-X® condensed aerosol fire suppression is a solution for energy storage systems (ESS) and battery energy storage systems (BESS) applications. 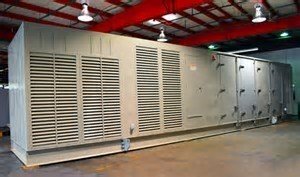 This includes in-building, containerized, and in-cabinet applications. The deep-seated nature of battery fires creates extinguishing challenges for all extinguisher types. Due to out gasing prior to and during ignition of the batteries, re-flash is a potential hazard. Stat-X aerosol operates at a low pressure and remaining in the environment to provide ongoing protection. Gas systems will exit the hazard area through any unclose able openings. The Stat-X aerosol remains buoyant and allows for unclose able opening(s), whereas in high pressure gas systems the gas will exit rapidly. 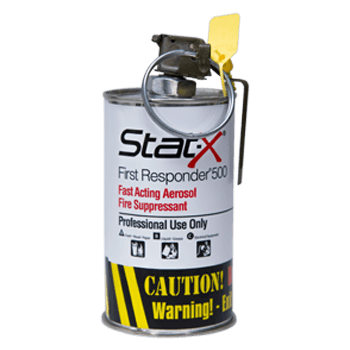 Stat-X highly-advanced fire suppression technology offers the lightest, most compact, and economical fire extinguishing solution available. 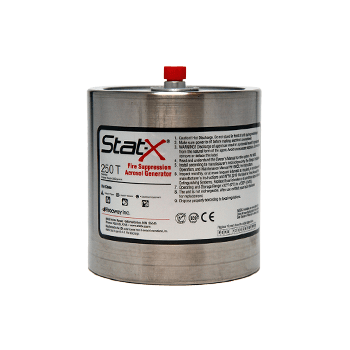 Our Stat-X generator is an extremely rugged, hermetically sealed, stainless steel canister containing a stable, solid compound. In the event of a fire, Stat-X units automatically release ultra-fine particles and propellant inert gasses which effectively extinguish fires using less mass of agent than any other conventional extinguishing system. The Stat-X aerosol extinguishing product was tested for efficacy in putting out Li-ion battery fires. It was found that the Stat-X agent successfully extinguished single and double cell battery fires. This testing was conducted in parallel with a large battery fire testing program. Fireaway Inc. contracted with DNV GL for testing to have its Stat-X product line included in the program. The following conclusions can be made from testing of Stat-X aerosol fire suppression system. Stat-X can put out a Li-ion battery fire. Residual Stat-X aerosol in the hazard will prevent a re-flash of the fire. Stat-X can reduce oxygen in an enclosed environment during a battery fire. Our DNV-GL FA test for O2 levels that shows 18% and no drop. Due to the deep-seated nature of a stacked battery fire, the Stat-X extinguisher removed heat from the interior of the cells more slowly than the exterior. The residence time of gases and aerosols during Stat-X deployment is a function of when the atmosphere is ventilated. The hazard area does not have to be airtight. Calculations allow for un close able openings. Residual Stat-X aerosol in hazard area after discharge prevents re-flash typical with lithium ion battery fires. There is no cylinder weighing or hydro-static testing required.